Paigey Cakey isn't holding back. Want some examples? OK then: she's released five mixtapes, starred in a full length feature alongside John Boyega, and scored a recurring role in a BBC drama. One of the best MCs around, Paigey Cakey throws her all into every performance, so Clash were delighted when she agreed to take part in our regular showcases at West London's Metropolis Studios. 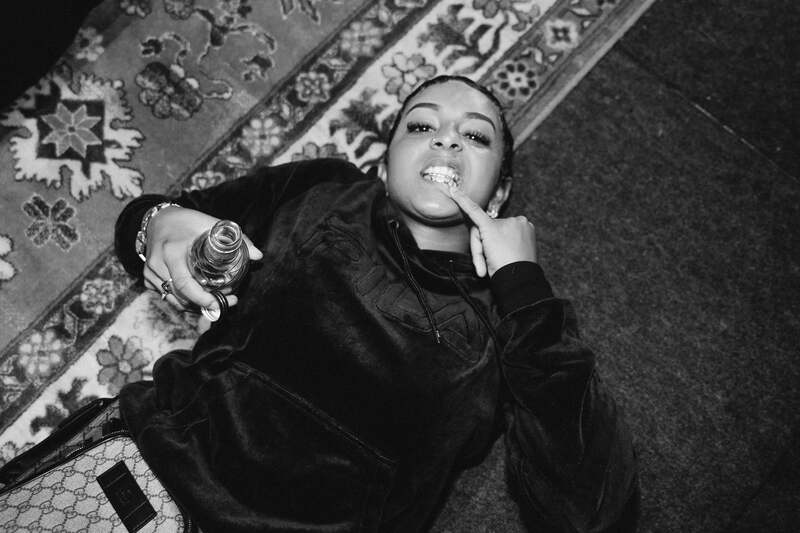 Perhaps London's most sought after studio space, a crew of intimate fans were invited down to watch Paigey Cakey spray, with the MC rattling through some brand new, previously unheard cuts in the process. 'Pattern' is example of her innate charisma, and the manner in which she blends it with her stellar word play. Recorded live at Metropolis Studios, it's another sign that Paigey Cakey remains in a class of her own.